Three-piece rainsuit offers water-resistant protection. Ideal for construction, utilities, airlines, municipalities and more. 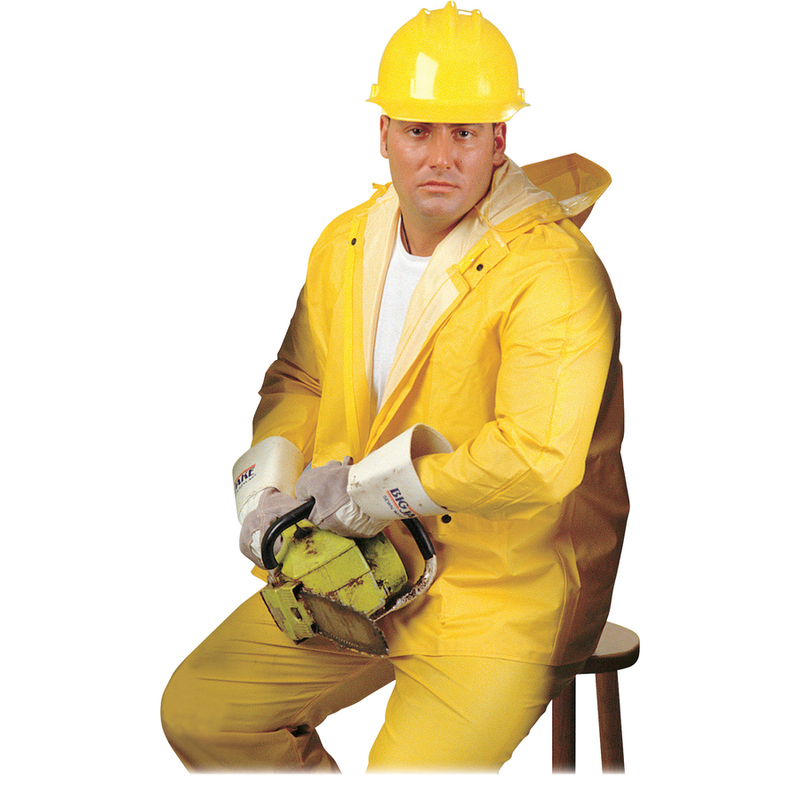 Rainsuit includes a jacket, detachable hood and bib pants with snap storm fly-front and adjustable suspenders. Cinch the hood with the included drawstring. Jacket snaps closed in the front. Black plastic snaps are also at the wrists and ankles for further protection against the rain. Each garment is made of 0.35mm PVC on polyester broadloom fabric and features welded seams. 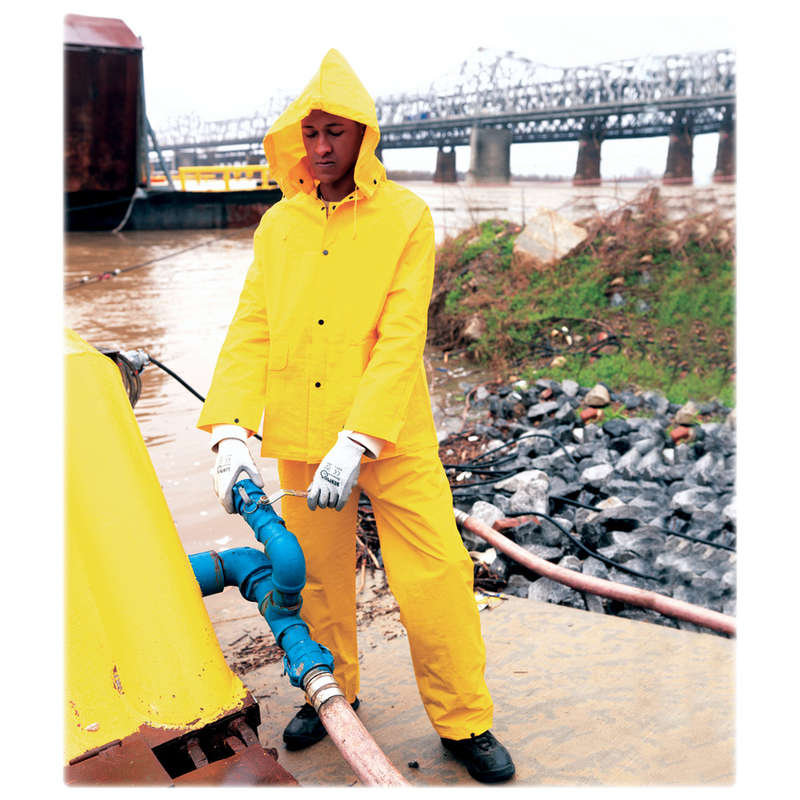 Rainsuit also features two patch pockets welded 3" above the hem, a rounded collar and reinforced crotch.